Heavily worn, but with clean attractive surfaces and no major blemishes. May have a few rim nicks and scratches. Rim is very weak but basically complete. Shows moderate even wear through the surface. Entire design is bold and clear with traces of flattening. Light even wear shows on the surface; design details on the highest points begin to soften, but all lettering and major features are bold. Noticeable spots of wear on several high points. Very few contact marks or blemishes and generally good eye appeal. Luster is diminished. Has original luster and normal strike for date and mint. May have three or fours very small contact marks and one more noticeable but not detracting mark. 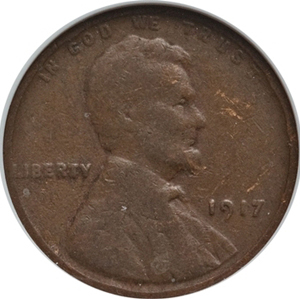 On comparable coins, one or two small single hairlines may show, or one or two minor scuff marks or flaws may be present. Eye appeal is above average. If copper, the coin has luster and original color.